Novel Effect hopes to inspire a love of reading among children by adding audio and music to storybooks. The sounds are triggered as parents read the story out loud to their children. 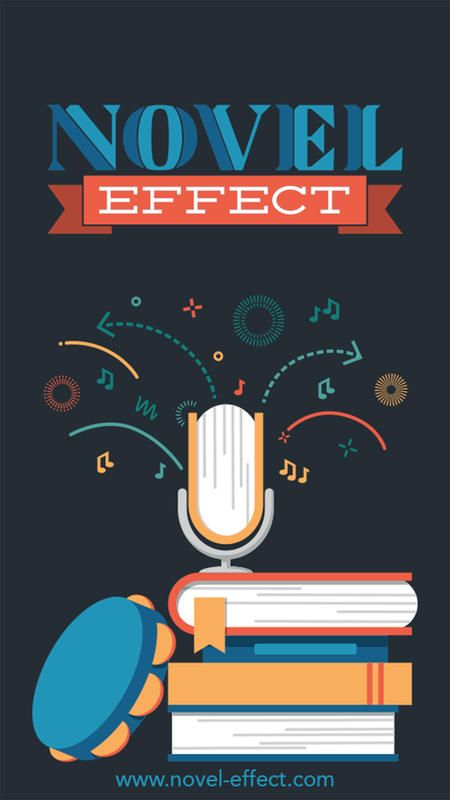 “Imagine reading ‘Where the Wild Things Are’ and when you read ‘Let the wild rumpus start!’ your family is instantly hit with an explosion of music that you can dance along to,” explains Novel Effect CEO Matt Hammersly. The goal of Novel Effect is to enhance the storytelling experience, not distract from it. In the following interview, Hammersley explains how Novel Effect was founded and why he thinks the startup will inspire a new generation of book lovers. As parents, we want our children to develop a love of reading. All the statistics and studies about child literacy say the more they read, the better their life will be. Plus, some of the fondest memories of our childhood are snuggled up with our parents, reading a bedtime story. But it is so hard to compete with TV, movies, and devices because they are an interactive, multi-sensory multimedia designed to distract attention. We wanted to find a way to make reading a book as appealing to kids as watching a movie. We are bringing the interactivity kids crave to books, turning reading into a game. Our patent pending technology is the first of its kind to incorporate the use of print books and make reading a magical experience. Using our app ignites a passion for reading. Our users go out and purchase additional books that are on our platform just to use it with the Novel Effect app. It’s a great way for publishers to boost interest in old classics that may not be as popular as they once were as well as making it easy for parents to discover new titles that show up in our library. We have also built a machine learning component that understands the reading habits of families, what they read and how often, giving us the ability to suggest new titles that we know they will like. The idea behind Novel Effect came in early 2015 at a baby shower for my daughter. We asked everyone to bring a book instead of a card, so we could build a library for her. Our friend, Toby lit up the room with fun voices and sound effects as she read us her book. I looked at my wife and said, “I wish every parent could be a master storyteller like Toby.” The light bulb went off. Next, we got in touch with Melody Furze, PhD candidate and one of our co-founders. She works as a special education teacher for children with visual impairments and was ecstatic with the potential implications not only for her kids, but to all educators. When you grab a child’s attention and keep them engaged with a story, so many benefits naturally flow. They remember the story and its morals, develop language skills, and inspire their imagination. We knew we had something special. So we filed a bunch of patents (I’m a patent attorney by trade), quit my full time job at the law firm, sold our house, and started Novel Effect. The upcoming generation greatly values new experiences. From AR to VR to other forms of mixed reality, we are clearly in for an upheaval for how we consume content. Novel Effect offers a way to bridge the old and the new. Working with print books allows us to embrace the traditional books we all know and cherish. By adding an interactive, digital layer on top, all triggered by your voice, we bring a multimedia dimension to experiencing books. What are some of the most important trends in publishing? Print, especially for children’s books, will always reign supreme. While this is no secret, technology that embraces this fact instead of trying to change it will find greener pastures. Personalization and interactivity will continue to be growing trends. Nostalgia will remain one of the strongest emotions to tap into. Subscriptions, especially automatic, low-cost options, rule in the world where everything, even paying your mortgage, is done on a schedule by a computer. Technology solutions that are most similar to ours come from Booktrack and Hallmark’s Interactive Story Buddy. However, we see these players as potential partners instead of competitors. Booktrack is based out of New Zealand and adds a movie style soundtrack to ebooks. They guess where you are on the page based on your reading speed. It’s a great technology, but is limited to ebooks and geared toward silent reading. Hallmark’s Interactive Story Buddy is a talking doll that responds as you read one of Hallmark’s books aloud, but is only compatible with their books and can only hold a very limited number of “trigger phrases”. In contrast, our system can work for any book ever written and can incorporate an unlimited number of trigger phrases. The future of storytelling is very exciting. In the short term, we are focusing on expanding our platform to Android, Amazon’s Echo, Apple TV, and the new Google Home that is coming later this year. We are also working with publishers and independent authors to expand the library on our platform, ranging from classic titles to new releases. A bit further out, our dream is to turn the physical world around you into the story by triggering connected devices as special effects. Imagine this scenario: you’re snuggled on the couch as a family and start to read your book…“it was a dark and stormy night” your lights dim, then flash to stimulate lightening, sounds of rain falling gently fills the air…you continue reading…”all of a sudden the phone rang” and your actual phone rings. Our technology can make that happen. Matt Hammersley is the CEO of Novel Effect, a startup that syncs interactive audio to print children's books.